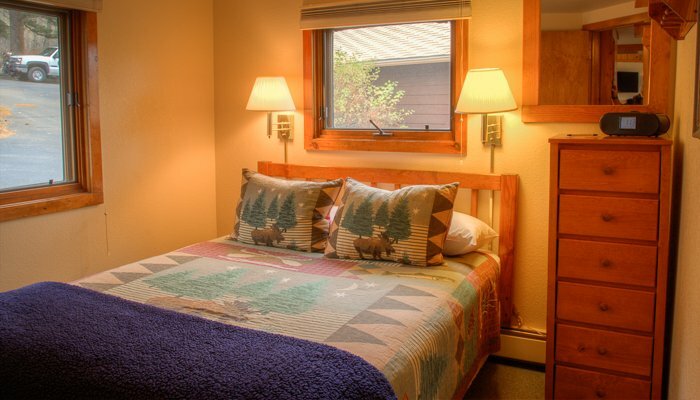 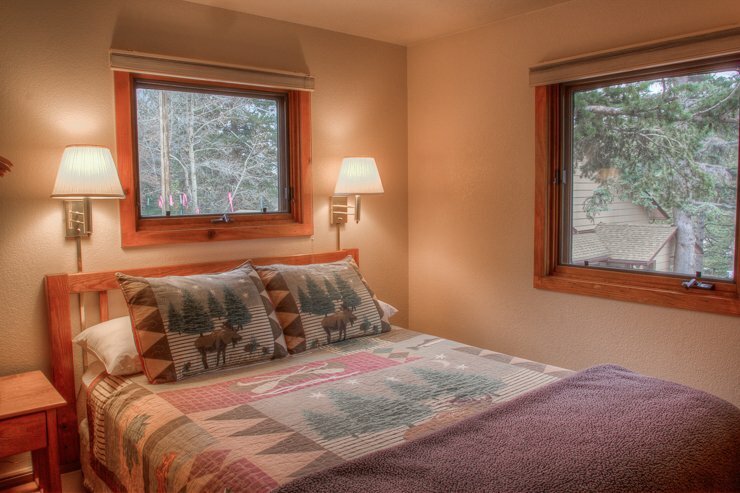 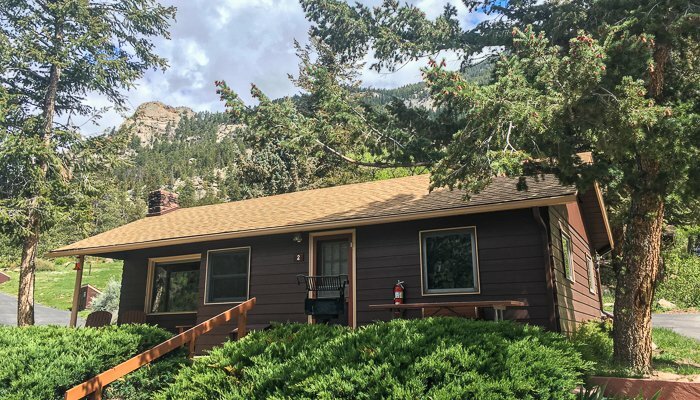 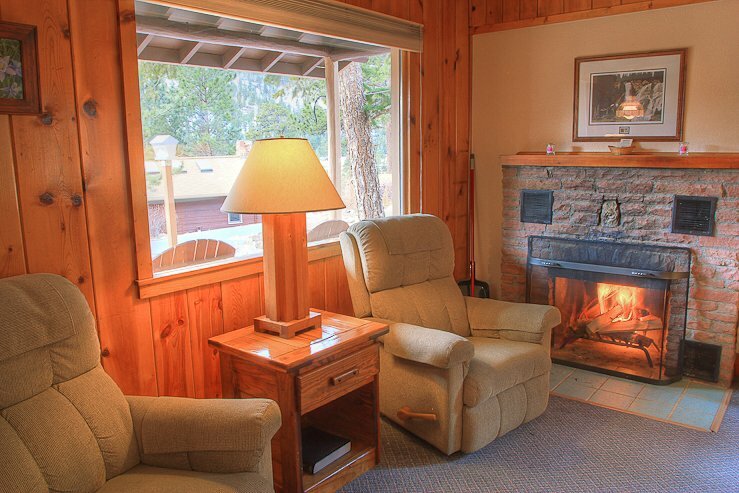 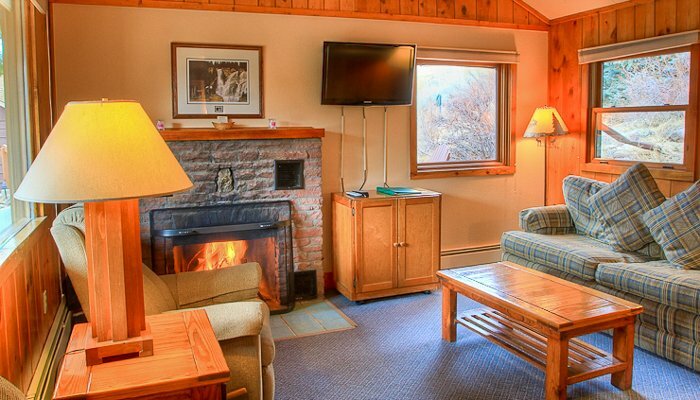 To view availability calendar for the Piñon Cottage, click here. 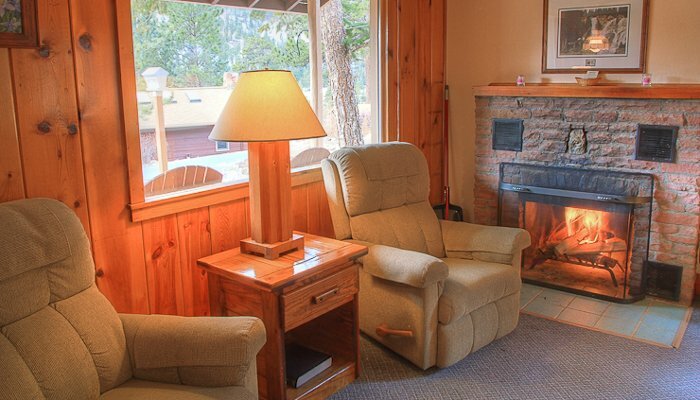 The Piñon Cottage is Dog Friendly. 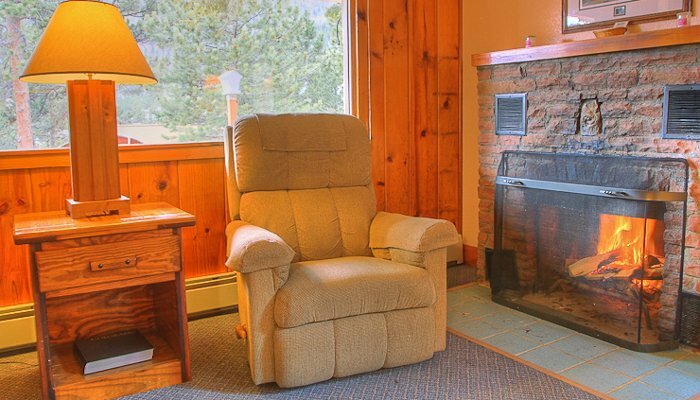 Log beams, knotty pine paneling and a native stone fireplace set the rustic atmosphere in this cozy two-bedroom cottage. 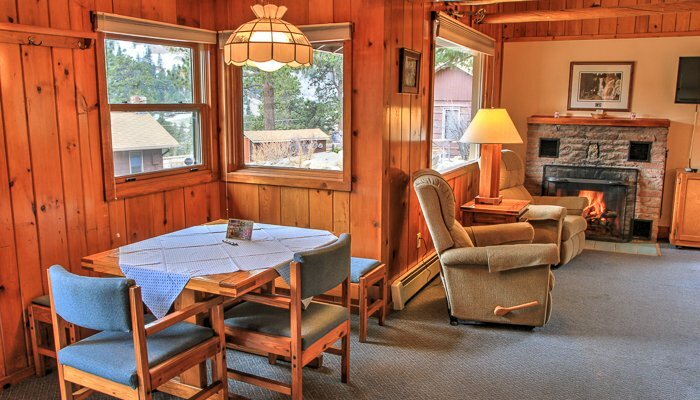 Enjoy spectacular views from the dining room, living room and front porch. 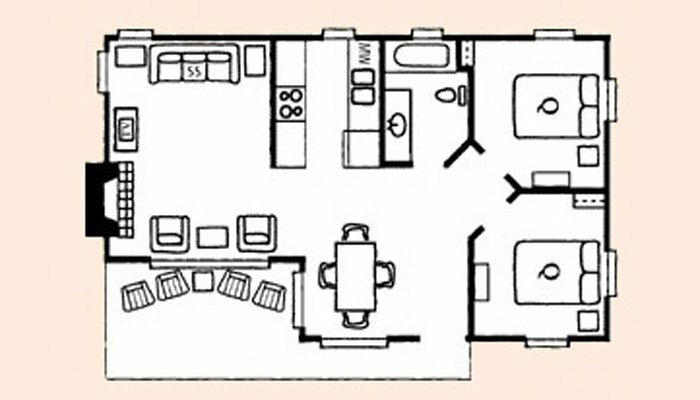 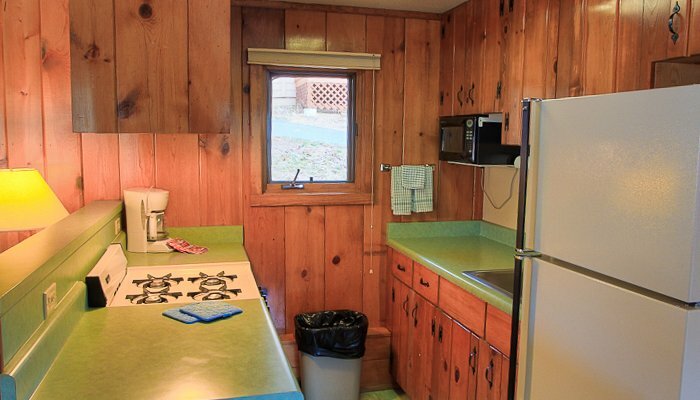 There is a fully-equipped kitchen with microwave and a full bath with whirlpool tub. 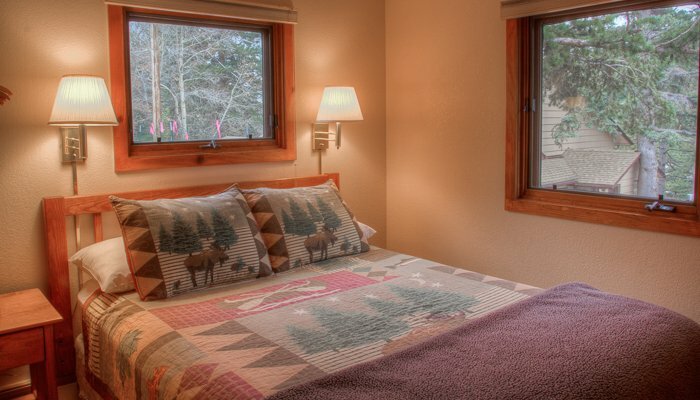 With a queen bed in each bedroom and queen sized sofa sleeper in living room, this cottage accommodates up to 6 people.